IMPORTANT: Nostalgic Candy Club is a monthly subscription box. We ship our boxes once a month. Our shipping cut off date is the last day of each month, which means any date after that, your box will ship the next month. 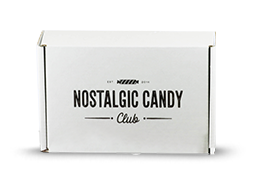 Nostalgic Candy Club Boxes are shipped by the 5th of every month. Shipping is always free! © 2017 Nostalgic Candy Club. All Rights Reserved.